← Commas – inside or outside quotes? Last month, a client of mine asked me to edit his non-fiction book, a series of vignettes about his time in rural Australia in the 1950s and Papua New Guinea in the ‘70s. One of the first things I noticed was that he had written a preface to his book, but he’d called it a foreword. This got me to wondering how many other self-publishers out there are a bit woozy about the meanings of these two sections. Then, serendipitously, I came across a neat post by Joseph Kunz that answers these questions and also discusses the role of an introduction. While the three sections Kunz talks about in his post are especially suitable for use by non-fiction writers, certain types of fiction writers — those who use history or a sense of place, for example — can at times make good use of the first two sections. It is essential for a self-publisher to understand the differences between the foreword, preface, and introduction of a book. Each section plays a vital role in the critical and financial success of the book. Without these three sections, a non-fiction book is incomplete, and not giving the readers their money’s worth. Therefore, I have laid out some basic definitions of each section to help give new self-publishers a starting point before beginning their first book. The foreword is the place for a guest author to show the reader why they should read this book. 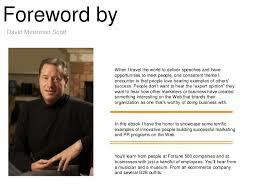 The foreword of the book is a major selling tool for the book. If it is written properly and by the appropriate person for the job, the book’s author will gain a lot of credibility in the reader’s eyes. It is important to remember that the author of the book should not write the foreword. Instead, the author of the book can use the preface as well as the introduction to say what needs to be said about the book. Forewords introduce the reader to the author, as well as the book itself, and attempt to establish credibility for both. A foreword does not generally provide the reader with any extra specific information about the book’s subject. Instead, it serves as a reminder of why the reader should read the book. The foreword must make an emotional connection with the reader. The preface is a place for the book’s author to tell the reader how this book came into being, and why. It should build credibility for the author and the book. The preface is very similar to the foreword, except that the preface is written by the book’s author. The preface is also an important selling tool for the book. Here, authors should explain why they wrote the book, and how they came to write it. The author should show the reader why the book is worth reading. The introduction introduces the material that is covered in the book. Here, the author can set the stage for readers and prepare them for what can be expected from the book. The introduction is a way for the author to grab the reader and intensify the reader’s desire to find out more and hopefully devour the entire book. In the introduction, the author can quickly and simply tell the reader what is to be revealed in much greater detail, if they continue reading. As you can see, it is imperative to understand the basic differences between these three sections in order to produce a professional looking and complete self-published book. Each section is clearly different, and each performs a specific function in the book. Therefore, a self-publisher needs to put a lot of thought and effort into producing these vital three sections. This entry was posted in advice for indie publishers, forewords, indie publishing, introductions, manuscript appraisers, manuscript assessments, manuscript assessors, manuscript presentation, Patrick de Valera, prefaces and tagged advice for authors, advice for indie publers, advice for writers, fiction writing advice, Forewords, introductions, manuscript assessors, manuscript presentation, prefaces, self-publishing, writing advice. Bookmark the permalink.